A little over three years ago DDS Divers booked a trip of a lifetime to Truk Lagoon in Micronesia, a pre-war Japanese territory which housed their air base, naval station and in the aftermath became a wreck diving haven of some amazing World War II shipwrecks and victorious systematic attacks throughout the islands by US Naval and Airforce teams, in what was a retaliation effort by the United States for the attack on Pearl Harbour. The US launched operation Hailstone which began on February 16 and 17th most notably, but also sparked a long term battle which lasted months after, as the US forces maintained pressure on the Japanese throughout this time and kept kicking them harder and harder when they were down, eventually starving out many of the Japanese officers who were unable to receive supplies from merchant ships and instead had to resort to cannibalism of local islanders, Korean comfort girls (they estimate 10’000 women were taken from their homes and forced to perform as companions to the soldiers) and some of their own wounded or dead troops. The stories of the war on this side of the world was fascinating and there are many books, documentaries and videos available if you’re interested in finding out more. In the meantime, lets discuss the planning, the journey, the local area, how plans can change, shipwrecks, diving operations, diving itself, the experience and of course the very sad journey back home to reality. Have you ever heard the age old adage that if it was easy, everyone would do it? We think that rule would apply here, you see, Truk (Chuuk)Lagoon is an area in the state of Chuuk in the Central Pacific region of Micronesia, among a series of beautiful islands that are located between Guam, Honolulu and the Marshall Islands (which are of interest to us, home to the worlds largest Shark Preservation Sanctuary covering over 200’000 square kilometres or 772’000 miles os protected ocean, as well as being home to another future dive destination….Bikini Atoll). We departed Toronto in the wee hours of the morning with sand still in our bloodshot eyes as we marched like cattle off to an untimely fate….customs and baggage inspection stations. 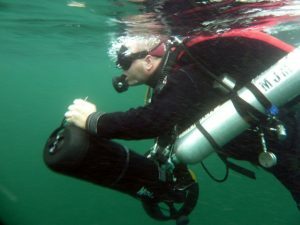 White Arrow Rebreather is compact, streamlined, versatile, fits in carry-on! 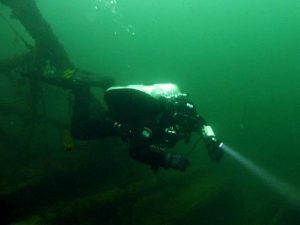 I carried on my White Arrow Rebreather and the majority of my sensitive equipment, which I knew was going to be a unique experience for all involved, as we usually have quite the ordeal when it comes to getting regulators and a canister light through inspection points. I was searched or had to demonstrate application of the unit everywhere I travelled. Air Canada was the carrier that took us to LAX, where it is highly likely they will want to weigh your carry-on bags. It’s about $400 if you had to check an additional bag all the way through round trip, so its worth chancing it or packing as lightly as possible. My checked bag had a weight allowance of up to 50lbs and was mostly clothes, fins, wetsuit, boots, trimix analyzer in a heavy duty pelican case and my shaving kit. I think the comment was made that divers should bring 1/2 as many clothes as they think they’ll need and twice as much money. My carry-on backpack housed my regulators, backplate and harness, some books (I didn’t even have time to read), liquids, gels, pills, and I was able to stow my jacket and sweater in there. My carry-on bag had the rebreather, wing, counterlung, breathing loop, tank bands, isolation manifold, canister light, backup lights, spool, primary reel and 2 Shearwater computers. Once you switch airlines to United there is a much less of a chance that the carrier will weigh your carry-on bags. Once we arrived at LAX we disembarked and had to change terminals, which involved walking 1/2 way across the entire airport and going through baggage check and customs yet again, this is where I got hassled and detained for the better part of 45 minutes because they kept insisting the rebreather canister was a scuba tank and that I was going to have to check the baggage, until finally after the 4th person tried to tell me this, they located a scuba diver on their inspection staff who verified that it indeed was not a scuba tank and they decided to X-Ray it one more time before letting me go to board my plane which was only minutes away from boarding by this point. From LAX we flew to the beautiful Central Pacific Island of Honolulu, where we overnighted, got a great meal and a wonderful Teppenyaki experience at Benihana restaurant in Waikiki, where they chef did a fun choreographed show as he prepared our meals right at the table. With our bellies full and anticipation high, we returned to the hotel, got a few hours of sleep and readied ourselves for the final leg of the trip, which would prove to be the longest as well, as we participated in the island hopping to 5 islands including our final stop in Chuuk. After a total distance (approximate) of 13220km’s and about 32 hours (over 22 hours were spent in the air) we arrived to our final destination. Chuck state was so beautiful, very reminiscent of when I was a child and my parents would take me on vacation to Caribbean islands that now are modernized and built up, but back then were very authentic, often poverty ridden and full of local culture that is unspoiled by foreigners. The airport was located on the island of Weno, where we saw first hand a very simple and modest single story airport that had only 1 lane, a large single un-airconditioned waiting room with a giant fan at the snack bar fanning the patrons, while all the rest were trying to fan themselves as the a/c units were either not turned on or broken. The runway was a single landing strip where the plane fly’s in and takes off from the same landing strip and they can only host 1 single plane at a time or they’d run out of room. Chris lets out a bit “Yes! We Made it”! Like all of the landing strips we saw on the way into Chuuk, they were all on a picturesque and beautiful ocean backdrop, often times coasting into a narrow passage on the atoll that in this case developed into a beautiful island with lush greenery, while others were not much more than a sand island with a few palm trees and buildings and others were lush with mountains, their own microclimate and some lovely fishing bays and villages. After a short distance but very long drive on an uneven road with potholes the size of a small crater, we made our way down past the shipping port and marina where the petroleum shipments, sea containers and any imports and exports take place in a bus playing some local authentic Chuukese folk music that was reminiscent of Bob Dylan or Yoko Ono, but yet strangely intriguing and hypnotic, but then again it could’ve been the jet lag starting to set in too. We travelled at a snails pace of approximately 10-15km/hour and arrived a mere 3km’s later 25-30 minutes into the future at the Blue Lagoon Resort having driving through a very simple, poor and absolutely beautiful countryside with large mountains, palm trees as far as the eye can see, bunches of bananas in trees, local children playing ball, chopping coconuts with machete’s, girls dressed up in their best school clothing, giggling and waving as we passed by them, while we also noticed many buildings that were old wartime barracks converted to Churches, school houses, homes and more. We were told that many of the roads and buildings are still the original constructed ones from over 70 years ago when Japan was ruling this territory. We booked this trip 3 years ago, with its intention to dive in style and enjoy a brand new 5 star dive experience aboard a boat that hadn’t yet been built, but last March that boat, newly minted and not even a full year of age (designed not for the rigorous winds, constant waves) built for a peaceful serene environment like Thailand, was caught in some unpredictable weather when a full out hurricane blowing winds of 100 miles an hour or more blew the ship around like a paper, sending it on a trip around the lagoon before its final fate of being beached on the reef, where it was later stripped by the crew of its valuables and burned to the waterline and then blamed on the locals who now truly resent their returned presence and would love to see the next boat sink after making such slanderous comments. When such a tragedy befall upon our trip plans, many of our original guests were crushed morally and since time was of the essence, we had to quickly look for other alternatives to keep the forward momentum of the trip going. We turned to “Plan B” which was a combination land and sea package with 4 days on resort at the Blue Lagoon Resort and Dive Shop, which are both located at the end of the islands west/southwest point. We hadnt the faintest idea what to expect with a number of the reviews being so mixed about the resort, which was the now known as the first leg now of what had turned into 2 part trip with the second leg of “Plan B” to take part on a live aboard dive vessel that also had good and bad reviews. The Blue Lagoon Resort was a blessing and having the opportunity to stay on land, it gave us time to reset our internal clocks, slowly get used to the time change and soak up the sun and scenery as much as we wanted, with dives in the morning and afternoon if we wanted them. Flying to Chuuk put us ahead in the future 15 hours as we are normally in Eastern Standard Time, so we took the time to adjust to the changes, enjoying some well needed sleep, some awesome local cuisine and our first series of 2 tank dives, which turned into a late morning early afternoon start by the time all of our gear was setup, tanks obtained and rigged, rebreathers (for those diving CCR) setup, calibrated, tested, doubles (for those diving twins) assembled and checked and then aboard the dive boats we went. The photos online didn’t do it justice, but we figured regardless, the diving would be fabulous, we were surprised how much fun we had! The resort staff were kind, food was great at the restaurant, the dive staff spoke english very well and the boats were efficient, although nothing special. We are already planning our trip back here because it was such a great experience and a great value. If you want glamour and glitz, you’re in the wrong sport, this rating of 5 star is for divers. Bare in mind we are visiting and diving in a Third Worldcountry, if you want to be pampered find a different hobby or rent a luxury yacht for a week and try it yourself. Be prepared to pay a lot for tank rentals and such at BLDS, unless you can pre-arrange a dive package, that was the only negative , as all of our divers had a $200-$300 tab at the end of the week, despite pre-paying for the lodging/dive charters ahead of time. If you’re diving single tanks its not an issue. 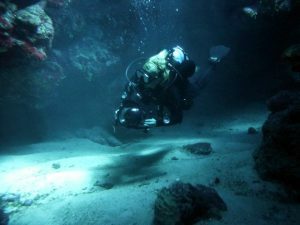 For rebreather divers, Sofnolime was available by the keg for purchase, while helium is stocked, so you don’t have to pre-pay for an entire bottle which ships over from Guam on a boat, which is what we had to do on the 2nd leg of the trip. Divers could request whatever mixes they wanted and the state of the art blending system made mixing quick and easy, so we were quite happy overall. Helium is expensive as in around $5.75/ft3 in US Dollars, so blending for best mix or lightening up your END (equivalent narcotic depth) may be an option. Don’t expect to be blending 18/45 every day, unless you brought $1150usd cash with you (credit card add 3-3.5% most places) and want to burn through several K cylinders, which are rated at 217 cubic feet of gas per cylinder at 2015psi. Next trip we’ll be looking into tank/gas packages with BLDS, as we got spoiled on the Thorfinn. As the week progressed we neared the final tenure at our Blue Lagoon Resort time and began to look ahead to the second leg of the trip aboard the Steamship Thorfinn or SS Thorfinn as its know as. At first glance online the Thorfinn looked older, had a few less amenities than our fantasy boat that was becoming an artificial reef with each passing day, and the reviews were not all that promising, nor was the massive black cloud of of coal smoke that was spouting out sulphur dioxide, nitrogen oxide, soot, and ash as it slowly chugged towards us for pickup on the resort. For a brief moment we stared eyes wide, mouths open, asking ourselves if we could just spend the rest of the week on the resort where we had land and clean air, but then we met the staff who came to collect us and our bags with 2 of the nicest laid out rigid hull aluminum chambered dive boats we’ve ever seen and they were nice and friendly and helpful, so we took the leap of faith off the dock and proceeded forward on to the next chapter of our journey. The SS Thorfinn was massive, which makes sense as they’re known as the Largest Liveaboard dive vessel in the world at 170′. The SS Thorfinn was originally a Norwegian whaling ship in its former life, prior to being sold. It was known as the “luckiest ship in the fleet” because it often got closer to its prey catching the most game because the hull was made out of military grade type 201 steel, which was non-magnetized, therefore masking its signal and having the animals swim along side the ship rather than avoiding it. That benefit cost the company a little bit of extra money, as sailors are a superstitious bunch, so it costs more to purchase the “luckiest ship in the fleet”. After a little bit of a backstory of the ship, we were even more excited now and began to suspect that this part of the trip was going to be amazing. As I wandered around the ship, I was suffering from sensory overload as there was so much area to explore. The ship was reminiscent of one of my favourite liveaboards, the Nautilus Explorer (whom we are a travel agent for), which was a similar looking ship with a similar layout, however, we weren’t expecting the SS Thorfinn to be as well equipped or stable. The common room was where we could be found most days between dives, it was spacious, offered a wide array of movies, had wifi (10 mb per day is your daily allowance) so we could check emails and sparsely use the internet. There was small bar that the hospitality staff kept open from morning until 11pm for divers wanting cold water or non-alcoholic punches during the dive days, coffee or tea to warm up and a few drinks for those feeling so inclined after the day of diving had ended. The decor inside the ship was cozy, clean and the hospitality staff were so efficient at picking up after us when we dropped a food item or left crumbs on a table, which was very impressive. Cleanliness is a huge thing aboard the Thorfinn which is what you want, as liveaboards in remote areas have to content with insects and rodents that are in abundance in an island paradise. Our briefing and orientation was conducted by the captain himself, Lance Higgs, who at first glance instantly reminded me of Lloyd Bridges. He had a deep voice, reminiscent of a radio announcer, narrator, or a movie star, which made sense as to how Captain Lance was so natural at keeping the audience of excited scuba divers engaged for the duration of the speech. At 78 years of age, Captain Lance has over 1/2 century of experience sailing around the world, until his journey took him to Chuuk where he has run diving excursions throughout this area for many decades. We hope he continues for many more. The Rooms on the SS Thorfinn were very clean and comfortable, with the bathroom facilities impressing me the most, as they were spotless. The beds were made daily and they were comfortable to sleep in. The air-conditioning could’ve been a little more powerful but the oscillating fans did their job and most nights we had good sleeps overall. The Food on the ship was great, although a little more North Americanized in comparison to Blue Lagoon, so we were treated to eggs, toast, pancakes, french toast, omelettes, spam, bacon, ham. Lunches were very good and varied but usually had a soup or salad, meat and veggie entree with a side and dessert, oh so many desserts, one for lunch and one for dinner on this ship. Our dinners were great with the kitchen staff working hard to keep us well fed. They even made Diver Dan a very special birthday cake as he turned 71 on the trip! The last night we were on the boat they even had a massive barbecue for us as a thank you. The Staff on the ship were quieter than on Blue Lagoon, as some were more shy or less fluent with the english language, but we had 2 dive guides (Katsashi and Erik) who were both very quality oriented and very kind, caring individuals, especially Erik, who was the recreational boats guide. Its so nice when you can feel the positive energy that the staff project, especially having been on some not-so-good trips on ships where the staff are infighting and don’t want to be there. Some of the staff care about the ship, the success and know the value of having happy divers, because they know they’ll try their best to come back if they had fun. The SS Thorfinn is essentially a floating hotel and from this floating hotel divers depart aboard the ribs (rigid hull inflatable boats) that take the groups to different dive sites. 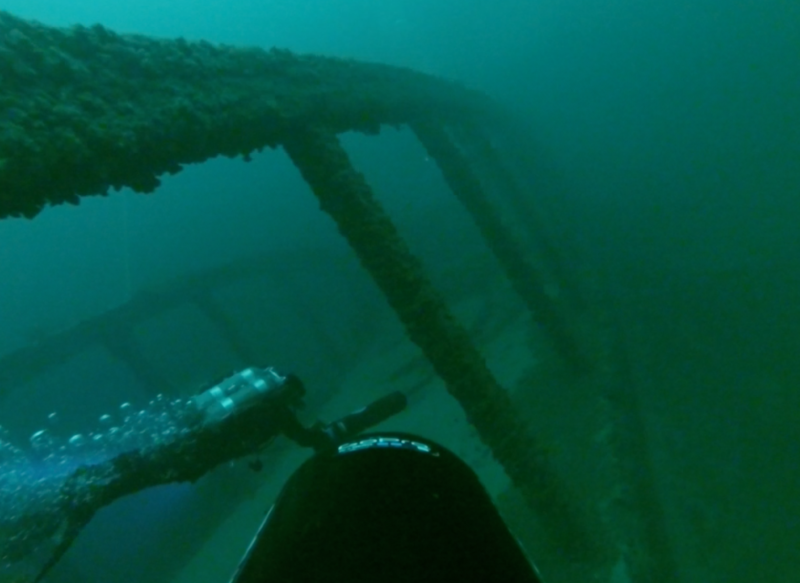 The Boats on the SS Thorfinn tries to vary where groups go daily, encouraging divers to mix it up and get a sampling of as many different sites as they can hit. Each boat goes to a different location unless otherwise agreed upon to facilitate the needs of advanced/technical divers, as well as less experienced/recreational divers, which is what we had, a mixed group of both rec and tech divers. The dive boats were aluminum hulled air ribs that were perfectly laid out for recreational and technical divers. Divers had a bench seat that opened up and had more than enough room for all but the largest camera systems to keep the deck free and clear. The ladder could’ve been 1-2 rungs longer and on more of an angle, but the surface staff handled the logistics of getting the divers back on the boat very efficiently in rougher surface conditions. Simply put, it was awesome! Anytime you put giant steel battleships in the water to dive around and through and there are guns, tanks, airplanes, trucks, cars, torpedoes, ammunitions, mines, portholes, artifacts, gas masks, human remains, great visibility, sharks, beautiful sea creatures, some varied coral formations and nice clean interiors free of coral to see the ship as it once was, you’re going to have a phenomenal experience. Most of the sites were within recreational limits with some wrecks being in 65fsw/20msw, most being in the 100′ range, while a few more were in the 100-150′ range, a couple in the 160-180′ and the deepest dive, the San Francisco Maru at 210′. Many of the ships were upright, with a couple of them laying on their sides. Yamagiri – Maru a stunning ship laying on its port side. The Yamagiri was hit by bombs or a torpedo on the starboard side. It features some fabulous swim-through’s with access to the entire ship. As you swim through this wreck you notice cases upon cases of Saki and empty bottles throughout this wreck and the many wrecks. Maximum depth was 100′ and we saw a cool black and white Lionfish on this dive. The most notable feature of this wreck is in the engine room there is a skull wedged into the ceiling from a soldier being blown to pieces and the rest of his bones below and strewn around. There was possibly a second skull where it looked like only the back of the cranium was embedded into the wall and a large number of bones atop the machinery down a catwalk. This was a phenomenal dive! Momokawa – Maru lays in 90-130′ and features some stern bomb damage, while boasting a beautiful bridge area and torpedo casings throughout the holds. S.S. Nippo – Maru was one of our personal favourites because we had the ability to dive a beautiful upright ship that had guns on the bow, truck frames inside the bow hold, direct access to the engine room via the hatches atop the ship or by going down onto the seafloor, you can swim in through the torpedo hole. As you make your way through the twisted metal, you see the damage explosives can do until the metal reforms back into a recognizable ship again after entering about 20′ in and up and through the hull. As you make your way towards the bridge the ship boasts a beautiful telegraph and a pair of Howitzer guns after of the bridge. The Nippo featured some beautiful hallways to explore with access forward or aft. This was one we dove a few times. Rio De Janeiro – Maru was one of the last wrecks we dove. It lays in a maximum depth of 100′, starboard side down and features helmets, guns, a phenomenal engineroom, a large aft gun, plenty of cargo holds full of goodies, including cases of saki stacked floor to ceiling up the walls. San Francisco – Maru was our most favourite of the dives, not because it was the deepest, but because it was the best. 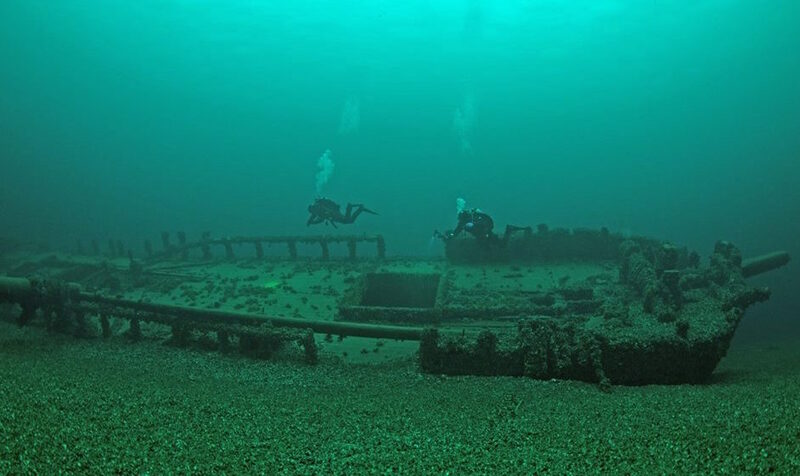 This wreck starts at 140′ to the bridge, 160′ to the deck and had a little bit of everything from torpedoes and shells in the holds, 2 tanks on the starboard side bow, 1 on the port side, trucks and truck bodies in the bow hold, a large bow gun in 150′, a pretty windlass on the bow, sharks, skulls, turtles, fish, it was our favourite dive for a reason. We did 3 dives here, including 2 in the same day. 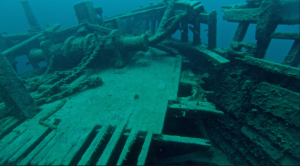 Maximum depth was 210′ and most of us dove this wreck as a technical dive on CCR or Open Circuit Trimix. Shinkoku – Maru gave the diver the bonus of diving a beautiful coral encrusted ship from the mid ship point to the stern in a reasonable depth range of 30′-125′. The wreck sits upright and featured great fish life and a fun wreck with lots to see. Shotan – Maru was a more technical dive in terms of depths with the average depth ranging from 140-180′. The ship was a lovely upright wreck featuring a gorgeous windlass, crane trucks in the cargo holds one off the port side mid-ship. An anti-aircraft gun was one of the highlights on the mid stern of the ship, with a stern gun as well. Aikoku – Maru was one ship we were the least enthused to dive, yet, it was one of the most impressive wrecks and one of the most fun. The wreck was involved in a freak explosion when the side gun on the stern shot down a US plane that crashed into the first cargo hold where the ammunition was stored. The explosion apparently was a massive mushroom cloud reminiscent of an Atomic bomb, as there was so much in the way of explosive mines, shells and torpedoes that everything instantly blew up, taking the front 1/2 of the ship off. The bridge section of the wreck was ripped off by the liveaboard vessel the Odyssey, which was very unfortunate, as we would’ve liked to have explored that more, but it was ripped and lifted and twisted like a can of sardines. The Aikoku was double the size of the San Francisco Maru making it the largest ship in the Lagoon. A commemorative plaque is placed before the destruction of the forward section and there are lots of human remains around. What made this wreck so interesting was the layers of what looked like melted, shifted and randomly laid out sheets of metal on the bow area. 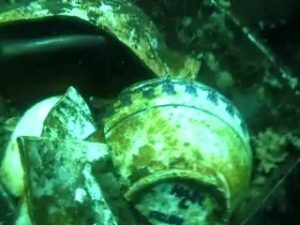 As the ship ceased looking like a ship suddenly, it became a scrap metal pile that dipped down deeper and deeper sagging down towards the seafloor at 205′. 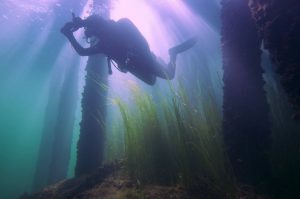 We’re looking forward to exploring this wreck again on a return trip. 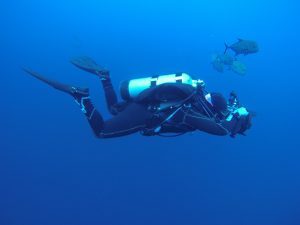 Fujikawa – Maru is a very fun dive in 80-120′. It has everything from planes in the holds, to scenic swim-through’s, to pretty deck corals, ammo all over the ship inside and out and it sits upright very prim and proper like she’s on display for all to see her and her former glory. Betty Bomber is a Mitsubishi G4M bomber that now rests in 50′ of water. The motors are a long swim from the sandy resting place of the planes nose and port wing over a bit of coral and about 300-400 feet away. This is a great spot for the last dive of the day or for the beginner recreational diver. Can you find the diver? Gosei – Maru is a great intermediate to advanced open water dive with loads of great penetration and lots to see. 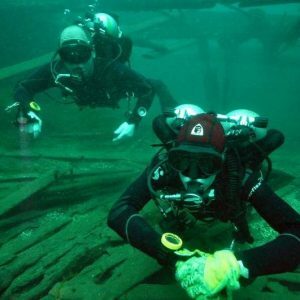 You start the dive on the bow in 15′ and make your way down the starboard side going towards the structures, holds and other sections. 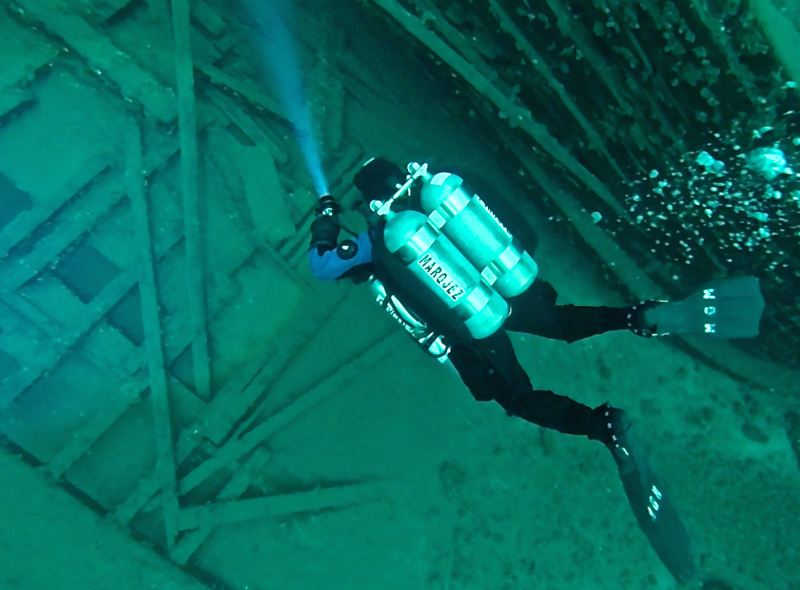 The wreck is 270′ x 40′ and max depth is 110′. You can see a torpedo hole on the starboard side midship. I-169 is a submarine and one of our more fun dives. It was not a remarkable wreck as far as penetration, but it was fun because it offered great wildlife with lots of manta rays and other critters. It also posed a fun challenge when we were told the Japanese soldiers who served on this wreck were only 4 feet 6 inches tall typically, so we wouldn’t be able to get inside the wreck…….Challengewas accepted and the fun began from there, as a couple of our divers were able to enter at midship and make their way forward, until part of the wreckage collapsed on us and we turned the dive at that point because the wreck was very unstable. Kansho – Maru This wreck suffered some stern damage above the waterline, so there were some questions as to how it sank. The ship featured yet another stellar engine room, where boiler gauges were still in great shape, dials and even a clock still were in place. Like many of the engine rooms, there were switches and levers galore, and a beautiful propeller and rudder. Depth range to the stack was 40′ and the deck 65-100′. This Trip was one that had so many positives and it was thanks in part to the dive sites, the dive operators, the travel providers, but at the end of the day it was the guests who participated in the trip that made it all worth the distance. We had such a magical group of people who shared in the experience, the unity, the inside jokes that random people will never understand (Turdle), but I can honestly say that this trip felt like family, and we’ve all become closer as a result of it. We travelled together, watched each others backs, made sure that everyone was always accounted for, all the while trusting each other above and below the surface. Truk was a trip that I think has stayed in all the guests minds and memories of late, with random texts being received, messages being shared and people reliving the moments that mattered on a regular basis. We are very lucky as a shop to have such great divers, customers and friends whom we can share in these adventures with and for that I am truly grateful. Here are a few random pics from the trip, we hope you enjoy them and we’ll see you on our next trip to Truk hopefully. This is a rewrite of a previous fin report I did up a few years ago. This is a great overview of dive fins, especially for the diver who only wants to buy their fins once. When divers are searching for dive fins there is a lot of miss-information, too much choice and too few actual “experts” out there who try all of the different fins in a real world environment using different exposure suits, diving in different environments and with different equipment configurations. It never ceases to amaze me the things divers put on their feet and attempt to kick underwater with and the amount of energy the exert, the extra air they consume and the additional CO2 they create in the process, not to mention the fact that many dive stores look at the almighty dollar instead of customer satisfaction. We are at a point in our educational path where we really can’t handle students showing up on referrals or open water courses with the wrong gear. What makes it the wrong gear you ask? Inability to perform in the environment that the students are diving in. Inability to propel oneself through the water in an efficient and streamlined manner without stirring up the bottom and inability to maintain proper trim and buoyancy, the ability to move at a reasonable pace without over kicking or over breathing. 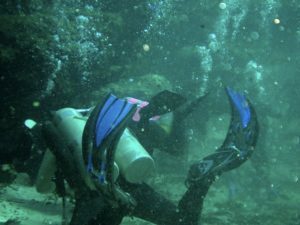 Each year we get divers from different dive stores on Open Water “Referral” dives where they often time show up in fullfoot fins (Slip-on fins people wear barefoot) or lightweight, flimsy plastic fins. The problem with this is the fact that the divers can’t actually maintain proper horizontal trim with these lightweight buoyant fins as they generally speaking have their feet floating up inverting them away from a horizontal position to a vertical foot up head down orientation. The fins also lack propulsion to actually properly move them through the water. When a diver kicks what you want is to push the water off the end of the blade of the fin, which is only about the first 13-15% of the blade, while the rest of the fin is designed to be rigid and provide a stable platform for the water to roll down off the end of the blade, so when you put a very lightweight plastic or rubber blade on the end of a foot pocket it just bends and twists and requires side rails to keep the structure of the fin intact. You need a stiff blade to move more water a soft blade will not displace as much water. The problem we find with most divers is their inability to kick properly, their inability to stay perfectly still in one spot without moving hands or fins frantically or their lack of awareness. 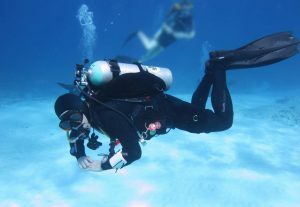 Many divers use a flutter kick because that was what they were taught in Open Water, but its inefficient and often times they kick from the hip or the knee straight down rolling the knee/ankle and using excessive energy, while silting out the entire dive site kicking silt up as they channel the water down towards the sensitive bottom fanning up silt and sand one leg at a time, or worse, the divers cause serious damage to the reef as they’re bicycle kicking vertically like a rototiller towards the fragile coral. At Dan’s, we teach our students a different kick, a more efficient kick, well actually a series of kicks. Modified Flutter Kick, Frog Kick, Helicopter Turns and Back Fining . 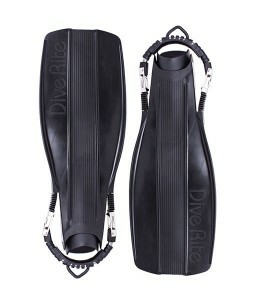 These kicks allow for greater control and comfort in the water, while offering more finesse and easier mobility in the water, while eliminating the need for people to hand swim, which is inefficient and a terrible open water diver habit that occurs from divers who aren’t maintaining proper trim or balance in the water. Why don’t we teach flutter kick? Most stores teach their diver to flutter kick because that’s what they’ve always done. We don’t recommend using the flutter kick as your main kick because it creates more drag through the water moving 1 fin at a time causing increased air consumption and energy usage, as well as the most logical problem of it channeling the water straight down to the bottom which reeks havoc underwater with the visibility creating massive clouds of silt that resemble a nuclear mushroom cloud. Inefficient flutter kicking with a flimsy split fin. Do you notice how the divers body rolls from one side to another? I was in Tobermory one July 11th weekend and I heard an instructor instructing a student that they needed to get their entire leg into it and kick from the hip straight down. All I kept thinking to myself was what does the visibility look like after these 2 have fluttered through the water? Split fins, hinge fins, fins with funky angles, Seawing Nova fins or really flexible materials are not ideal for diving unless you only ever plan on diving a single tank and flutter kicking. 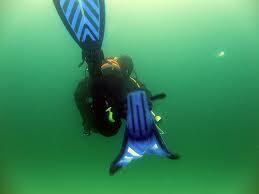 Most fin blades over flex and don’t become useful with divers who have good leg strength. I can over power most fins on the market from the gimmick filled brands. Nothing offers a better, more efficient, more powerful fin kick than the following APPROVED fins for more progressive diving use: Scubapro Jet Fin, the original, tried, tested, true high performance, high efficiency fin. OMS Slipstream Fin a lighter version of the Jet Fin, Hollis F-1 fins, Dive Rite XT Fins plastic fins with exceptional thrust, Mares Quattro a good fin that is longer, but less efficient that the above mentioned fins, Mares Plana Avanti X-3 lighter kick than a quattro, Mares Super Channel stiffer kick than the x-3, Mares Quattro Excel Fins offer the most precision fin techniques of all Mares Fins but the blade is long and they’re less efficient than some of the above mentioned fins. Mares Power Plana (New Rubber composite material) offers good thrust, while the short blade makes it one of the better Mares Fins for more progressive diving, but it is a lighter blade than the Jet or equivalent. The XS Scuba Power Fin offers similar performance to a Scubapro fin, as well as their XXL and XXXL Turtle Fins which are both jet fin inspired options, Hollis F-2 fin a shorter, lighter fin than the F1 that allows for the standard kicks with less power and propulsion, not recommended for high flow currents/caves/heavy gear. The above list of fins although relatively short, cover a broad spectrum of options when you figure there are over 100 different fin models on the market from the major brands at the time of this blog post. What fin technique is better? Here at Dan’s we teach “Frog Kick” or “Modified Frog Kick” to our divers as their main propulsion method because it is an effortless way to swim around your favourite dive site. You Simply Kick….Glide…..Kick…..Glide. With a good frog kick you can kick and the push you get will allow you glide for several feet afterwards, allowing you to re-load position of your feet and kick again, often times breathing on the gliding portion and exhaling often on the kick. You’re channeling the water straight behind you in the same direction the fins are moving. In between kicks there is a glide effect as your momentum moves you forward on your rest stroke and continue on from there. The biggest issue we have with fins is watching divers floundering around with no control. In an effort to try and keep their knees bent while arching their back to keep their fins at the high point for proper trim, they have a serious lack of control because they can’t seem to do anything with these fins. At that point, the hands come out with sculling to try and stabilize, the flutter kicking starts which is usually followed by a silt out. I am a big fan of the Scubapro Jet Fin for this reason. It offers the best quality fin, lifetime guarantee on the fin even against breakage, and gives me a nice stiffness in the blade, while allowing me to dive it with singles, sidemount wetsuit, drysuit, rebreather or doubles and allowing me to maintain perfect trim offsetting my “floaty feet”. So how do you know if you have floaty feet? 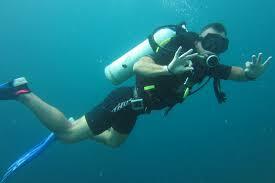 Many people male and female who are thicker through the calves/ankles likely have a bit more need for heavier fins, as do drysuit divers who have buoyancy in their thick undergarment socks or a neoprene boot. If you don’t suffer from Floaty Feet, find that you don’t need a heavier fin, have a look at the Dive Rite XT Fin. You won’t find a fin on the market that gives you as much speed and performance in a plastic material than the XT Fin. Its outperformed virtually every fin on the market in real world and simulated testing. For more on the XT Fins or a good second opinion of fins have a look at the Dive Rite Blog posted by Lamar Hires back in 2007. Try getting into the water in your normal setup with no fins on and see which way your body floats, most times your head will drop and your feet will go up if you’re using a proper buoyancy control system and are distributing your weights properly (NOT ON YOUR HIPS). Do this with a tank that is at its lowest tank pressure (if you’re diving aluminum 80’s try it at 1000psi). If you’re finding your feet go up in a balanced rig for singles or doubles, you can add a trim weight, tail weight or you should try adding a rubber fin to the mix. If you find your feet drop downwards, you have too much weight on the waist, remove and re-distribute and try again. If you find your feet still sinking something isn’t right and a Rubber Fin will make it worse. You can really benefit from additional training as well. Courses like Intro to Tech or a Fundamentals style course can really improve your skills, knowledge and understanding of the concepts of buoyancy. Likely one of the most often overlooked features of fins are the strap and buckle assemblies. Fins with plastic buckles and plastic buckle posts and inner roller pins often are made of a breakable plastic material and the loose straps can often find their way into an area of entanglement. Purchasing fins with spring heel straps makes more sense, you have an near unbreakable stainless steel spring and a stainless or delrin post that is pretty well unbreakable too. The boots you wear whether wet or dry will stay in place as the stainless heel strap will tighten up as the boots compress with pressure from descending to depth and loosen off as the boots expand back to normal size upon going shallower and the neoprene expanding (if diving wet) or the drysuit boots being filled with a little more gas in them. 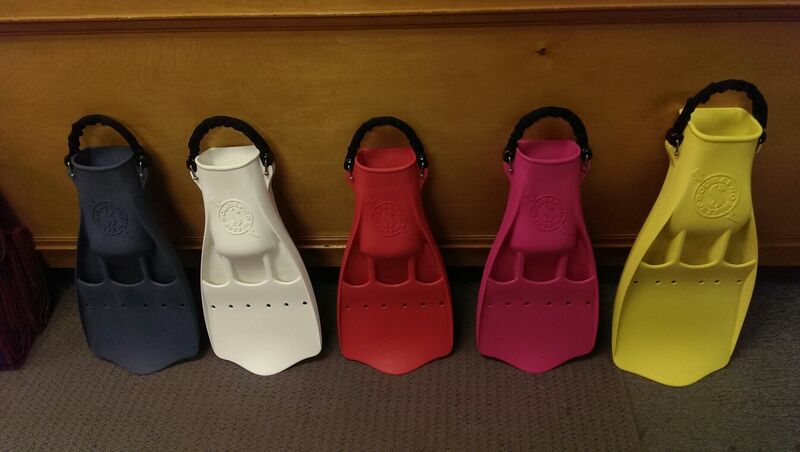 The Worst fins without really discriminating against all major fin brands is more of an overview; Avoid the majority of overpriced, overly expensive fins that have hinges, splits, are very light weight, offer unfounded claims of propulsion and performance and of course you can ask us. Stay away from fins that dive stores are classing as “beginner” fins, there shouldn’t be a designation of “Beginner” or “Expert” diver when it comes to gear configuration. 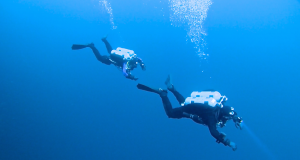 Every scuba diver should be taught to dive the same way, utilizing the more progressive kicks in the more progressive gear and not be limited by their equipment or their training. My unwritten rule is if the gear is really pretty or has a lot of hype or bells and whistles it’s likely not that good. Once upon a time I was introducing my ex-wife to double tanks, but she had pretty Pearlescent Pink TUSA Tri-Ex fins, which were very buoyant and I told her she should leave behind at the store as I was loaning her my wetsuit Jet Fins. 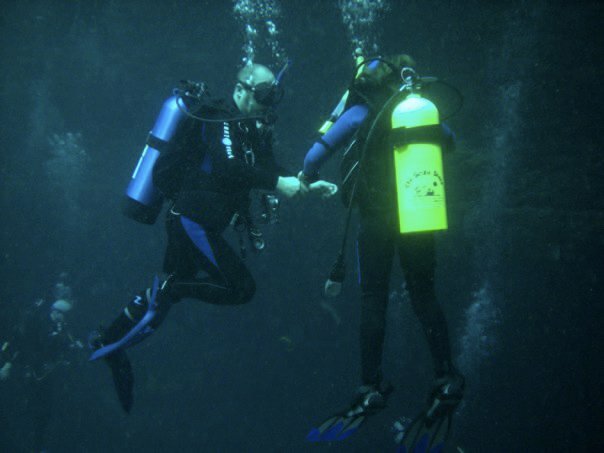 When we arrived at the dive site, I got her all buddy checked and I entered the water.At the last moment with my back turned she had a second thought and grabbed her horrible pink fins and put them on in the water and we began our dive. Seven minutes into the dive she aborted the dive because she was tired and out of breath. I asked her what the problem was? Knowing full well as soon as she fell behind what the problem was and I noted the pink fins. She called the dive and told me she wasn’t going anywhere in her fins, so i asked the princess what fins she was wearing and she smiled at me innocently and uttered the words “my pretty ones”. I told her to get out of the water, grab the Jet Fins and get back in, so she did and she loved them. For 3 years she dove those fins. You’ll actually notice them in the top right photo in the background with the pink tanks. The moral of the story was that she noticed right away how inferior her fins were, how despite the look of the old Jet Fins that they outperformed her newer, more sleek looking fins and that when it came to diving, one little modification like getting better fins can make a world of difference and no longer limits your progress forward. I’ve always been an advocate of simple and streamlined and doing it right for a reason. Maybe it’s because we teach our students a different way of diving, but these divers whom we’ve retrained end up having to buy new fins because their fins just didn’t live up to their diving needs at the open water diver level. We believe in teaching diving the right way and giving you the tools to make a more informed decision when you purchase your equipment and additional dive training. After learning the pros and cons the customer is able to make a more informed decision. We are happy to sell anything we have or can get if people who insist on them, but it doesn’t mean we recommend or endorse the products at that point. Here are a few photos of us teaching proper fin techniques, proper trim and fit and functionality to new open water and advanced divers. Our methods and training teaches you how to dive right from the beginning, purchasing the best gear and training available. 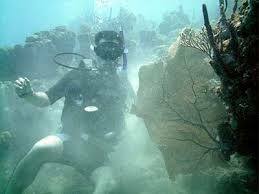 Check out our training section for more information your next diving course. Please don’t be insulted if you read that your fins are no good. They’re likely good fins for flutter kicking with a single tank on a reef in a shorty wetsuit, but add a drysuit, a large single tank or a set of doubles, a mild current, more weight to offset that wetsuit or drysuit and now you may find your fins don’t cut it anymore. Diving is about versatility, evolving and personal development of skills is a big part of that. All divers both recreational and technical should know proper frog kick and they should all have fins that will enhance not hinder in water performance. If you read our blog and like what we’re doing, we’d appreciate your feedback and business as we share the most up to date and modern information available. 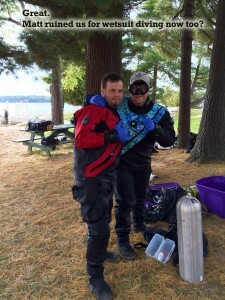 Come diving with us, train with us and harness your maximum potential. One a most recent trip ocean diving in Cozumel 2 divers on the trip were equipped in the wrong fins. One a pair of TUSA Split Fins and the other a pair of Sherwood Elite Fins. Neither were able to swim against the surface current back to the boat and had to be rescued. So why did this happen? Simply put, they had the wrong fins! It doesn’t matter how much cheaper a pair of inferior, lightweight, plastic Sherwood fins are when you have the fear of your life and panic, which is exactly what happened to the diver in these fins. The other diver, an experienced DDS diver decided to favor weight for travel over performance and thrust and when they were returned safely to the boat, they said they wished they’d brought their Jet Fins and uttered the words, “Never Again”. Don’t put yourself in harms way, don’t favor your pocket book over your life, do yourself a favor and get the right gear the first time and the best stuff you can. 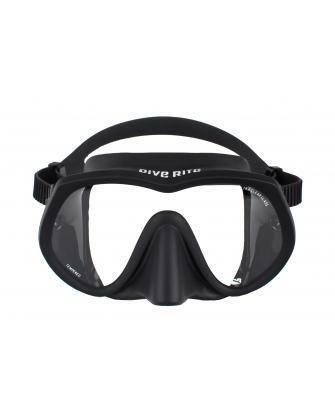 Your fins are the most important piece of gear you’ll have as a diver. Don’t make the same mistakes thousands of new divers a week around the world do. Dan’s Dive Shop offers the best selection and pricing you’ll find on scuba diving and snorkeling equipment in Canada or the United States, so please, if you feel that this article has helped you and you would like to purchase the best fins, take a browse through our online store and add a set to your shopping cart today. Thank you for reading this. If you have any questions about gear, training, diving techniques, please email me.